You don't want to leave Mexico Beach without stopping in and saying hi! 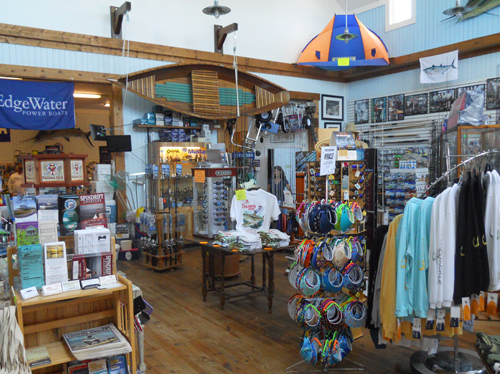 Our ship's store has everything you need for your fishing trip to Mexico Beach. Whether you plan to surf, pier, kayak or fish offshore, we can help you get set-up with everything you need...rod and reel combo's, bait(frozen and live),tackle, bulk ice, non-ethanol gas and more. Going to the cleanest, prettiest beach in the Country? We can help you there to; chairs, coolers, umbrellas, tents, Ocean Potion tanning products, sunglasses, towels and more. Don't forget to check out our clothing as well. You'll find the largest and coolest selection of T-shirts in Mexico Beach. We also carry ladies sun dresses, AFTCO/Guy Harvey, HUK and Pelagic clothing and hats. You will also want to check out the largest selection of COSTA sunglasses on the beach. Plus, we have a great selection of unique gift items that you won't find anywhere else. Our Yamaha Service and Action Craft Power Boats Center also carries much of your boating supplies as well. 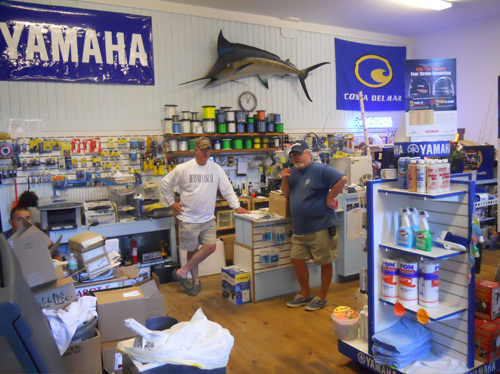 Life vests, flare's, dockline, anchors,plugs, cleaning supplies, trailer parts, oil and more. Come on in and visit with us. You will be pleasantly surprised at what you find.